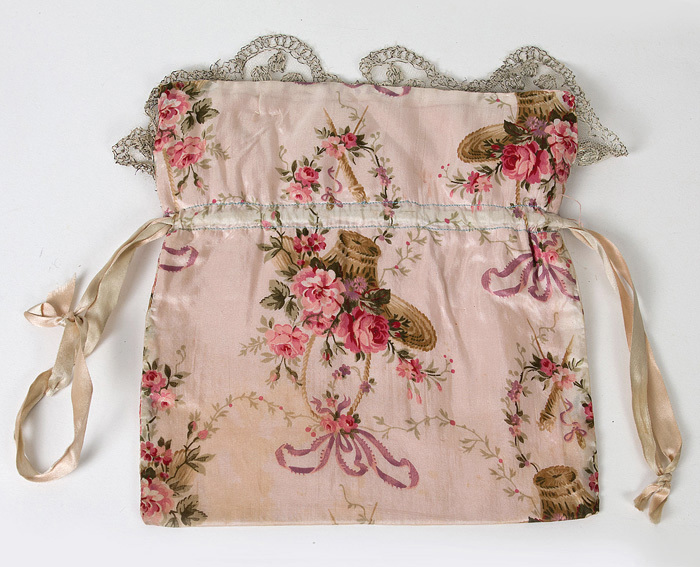 This charming drawstring bag matches the 18th century style costume currently listed. 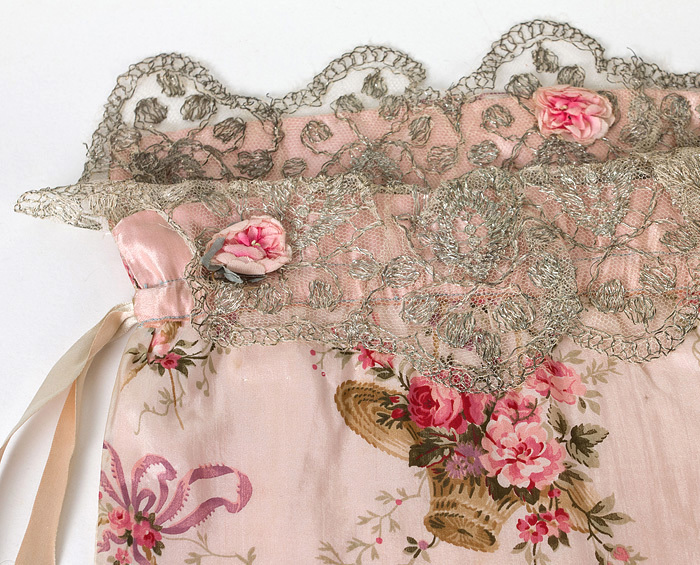 Both pieces were fashioned in the 1920s. 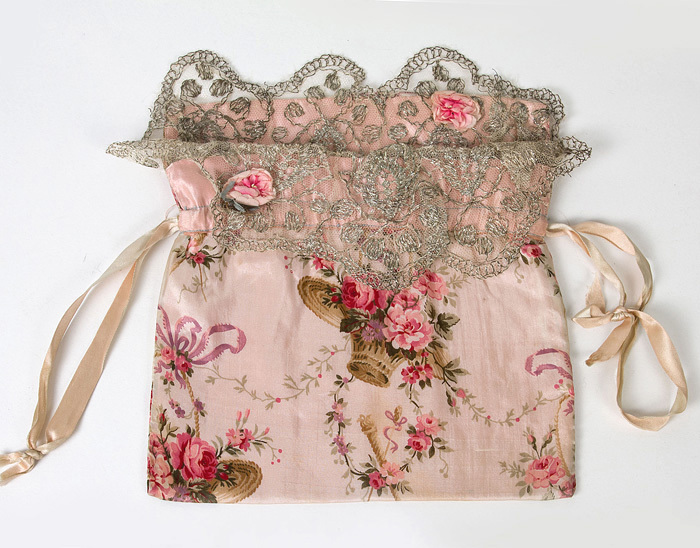 The exterior silk fabric is printed with baskets of roses; the lining is of pink satin. 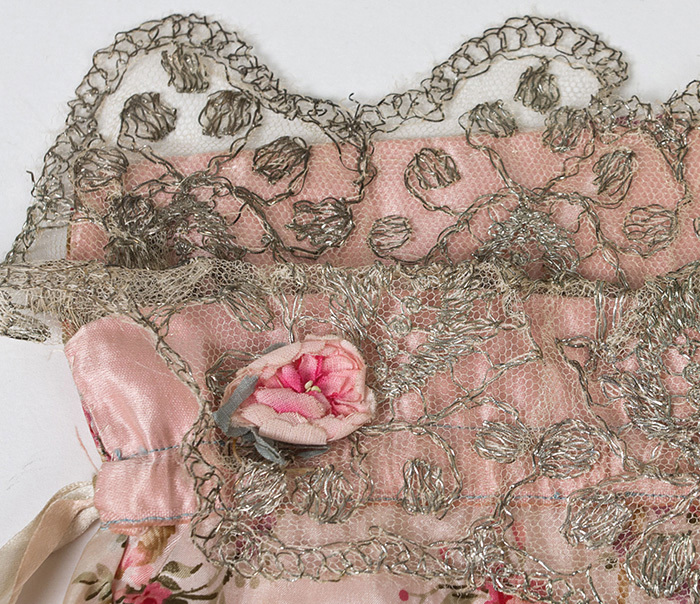 The top opening is decorated with silver metallic lace and two little fabric roses. The condition is almost excellent. On the back side is a very pale stain that is barely noticeable. It measures 9" tall by 8 1/4" wide.